Strictly Come Dancing professional dancer Anton Du Beke has been on the show ever since it started all the way back in 2004. In the following 13 years, he’s become one of the most popular dancers on the show, and was even tipped to take over from Len Goodman as Head Judge last year. Although Anton has never been lucky enough to lift the coveted Strictly Glitterball, he’s been winning over the hearts of viewers and celebrity contestants alike over the years with his smooth moves and hilarious one-liners. 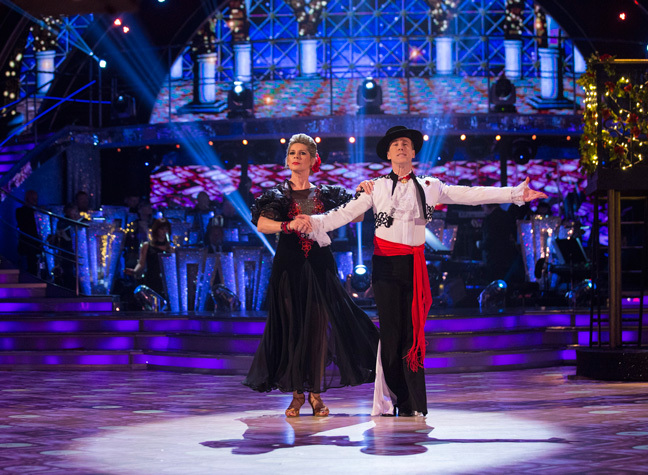 So it came as no surprise to see viewers gutted at the speculation that Anton may be leaving the series for good following the end of his latest Strictly run with partner Ruth Langsford. Rumours flew that 50-year-old Anton could be ducking out of the show after a record run. The rumours came just weeks after it was speculated that Brendan Cole, another long-time Strictly pro, might also be leaving the programme. But now, Anton has spoken out on the speculation – and thankfully, put worried viewers minds at ease. He continued, “Even if they don’t ask me back, I’m still turning up!” Phew! On the show, Anton also discussed his and Ruth’s recent exit from the show, where he expressed his disappointment that they’d left so soon.